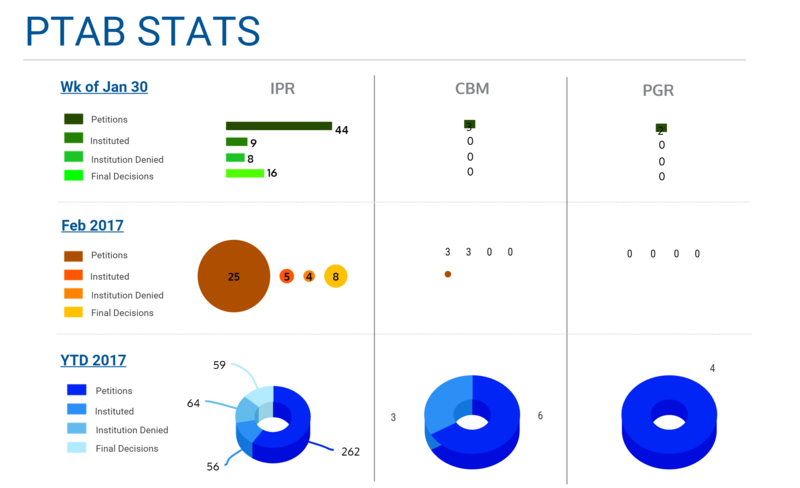 Check out the weekly stats coming from the PTAB and read our attorney case reviews. Check out PTAB E2E to view any of the above cases. PGRs are challenges available before the PTAB to patents which were granted under the first-to-file standards of the AIA, which have effective filing dates after March 16, 2013. Unlike Inter Partes Reviews (IPRs), where patents can only be challenged under Section 102 and 103 on the basis of patents and printed publications, PGRs challenges can be made for all invalidity reasons, other the best mode, and on the basis of all available prior art. This case illustrated the breadth of challenges for PGRs, and the concomitant difficult evidentiary issues which can arise with other types of evidence. Patent and printed publication are generally clear on their face, while prior art such as prior sales can raise additional evidence questions. Here the petitioner, Altaire Pharmaceuticals Inc. challenged the patent as obvious over the prior public sales Altaire had made of its own products. The invention is a way to maintain the high purity of an eye care solution product. Altaire needed to establish that its prior solutions had certain purity limitations in order to invalidate the patent, construed under the broadest reasonable interpretation standard, which is the standard for claim construction for patents in the PTAB. (Cuozzo Speed Technologies, LLC v. Lee, 579 U.S. ____ (2016)) The decision turned on the data that Altaire had proffered to show the purity of its prior art products, and specifically the test data that Altaire had submitted to establish their purity. Regarding the evidence that Altaire submitted, the Board reviewed the purity data, and the witness used to support it, and held that Altaire had not timely qualified its witness as an expert in the PGR proceeding, and thus could give no weight to his opinion. Regarding the test submission, the Board held that Altaire had not explained how the test was performed, and the resulting data generated, and thus it could give not give weight to this data evidence. This decision illustrates the difficulties that the parties face in PGR proceedings, where the prior art evidence can take many forms. In IPRs, only printed publications and patents are available, which are much clearer and easier to authenticate. Here the petitioner could, in the view of the Board, have done a better job of explaining the evidence according to Rule 42.65. In addition, Petitioner could have moved to qualify its executive as an expert before the Board, giving notice of its intentions, and an opportunity for the patent owner to respond, but failed to do so. (37 C.F.R. § 42.123. Filing of supplemental information.) The Board has been clear that it doesn’t allow surprises, sometimes characterized as “sandbagging,” with arguments and evidence in reply briefs. With the burden of persuasion on the Petitioner to show unpatentability by a preponderance of the evidence in a PGR, 35 U.S.C. § 326(e), the evidence and its presentation methods, become critical.